This week got off to a slow start, but ended strong. I am really close to being back to where I want to be and feel like my speed work is paying off. Now I just need to keep turning it up a notch in the speed department and slowly build up my endurance as well. Monday: Travel day – took a complete rest day. Tuesday: I taught early morning boot camp followed by my own strength workout and my p90x core workout. I also put in three easy miles along the W&OD trail. Wednesday: Today was supposed to be a speed workout and turned into a full rest day. Thursday: I taught morning boot camp and got in a few miles taking them off site on a run. I had good intentions of getting another run in on my own but that didn’t happen. I did get in most of my p90x core workout though. 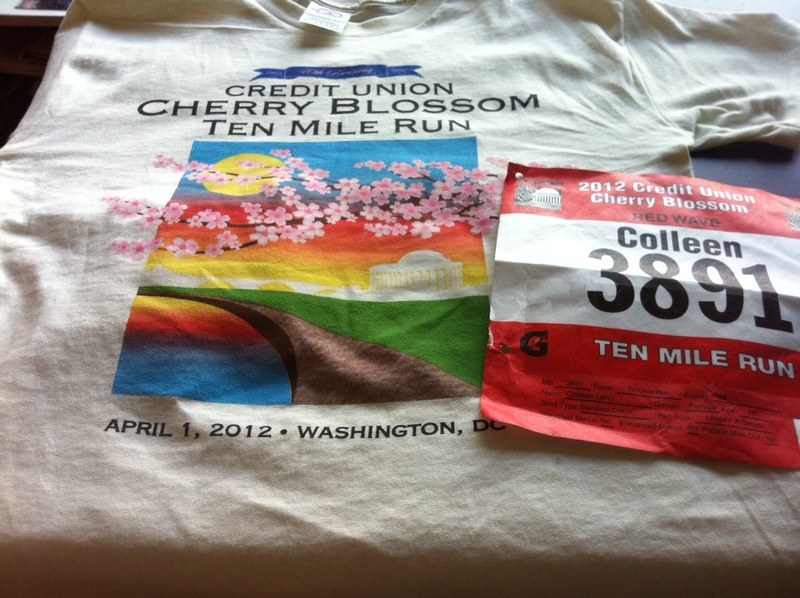 Friday: Another unplanned rest day, but I did make it in to D.C. to get my packet for the Cherry Blossom 10 Miler! Saturday: I got up early and finally got that speed workout in planned for Wednesday and it felt great. It was a windy, but beautiful morning for 200s along the W&OD. I did eight repeats with a 200 recovery jog – the first four were in to the wind and the last four I had a tailwind. I ran the repeats in: 49, 48, 49, 49, 43, 46, 43, 43. 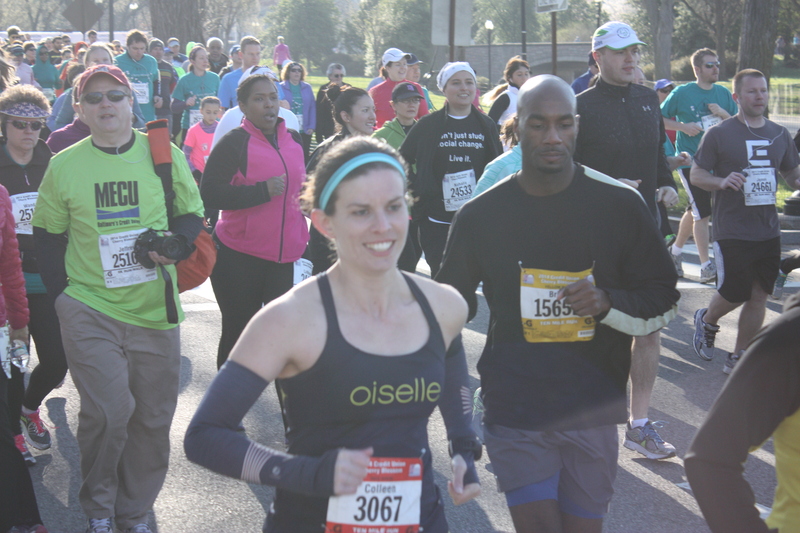 Sunday: I ran one of my absolute favorite races on a perfect day in D.C. and had a great Cherry Blossom 10 Miler!! Well, it was actually a 9.5 miler, but I’ll explain that in tomorrow’s race recap. I ran just over an 8-minute pace and felt great! OK, final overdue race recap is here! 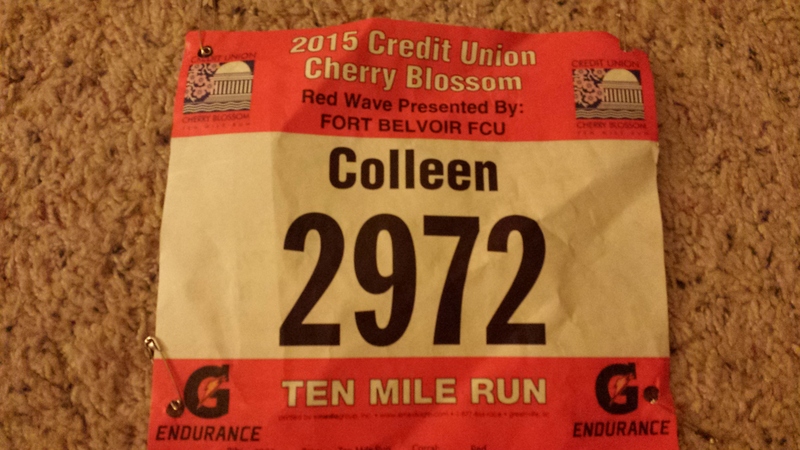 I’ve frequently talked about my love for the Cherry Blossom 10 Miler on the blog, and this year was no different except that I opted for the 5k instead of the 10 miler. It took me until Saturday night to make the final decision to switch to the 5k. Could I run 10 miles? Of course. Would it be a lot slower than my previous two years of finish times? Absolutely. Now I know that’s a dumb reason not to do a race, but I knew it would bug me and I just wouldn’t enjoy the race as much. It turned out to be a great decision. I loved the 5k course and I even showed a little speed compared to my runs of late this year giving me a good push to getting back into things and picking up the pace in my training runs going forward. It also didn’t hurt that the start time was about an hour and a half later than the 10 miler – yay for sleep! 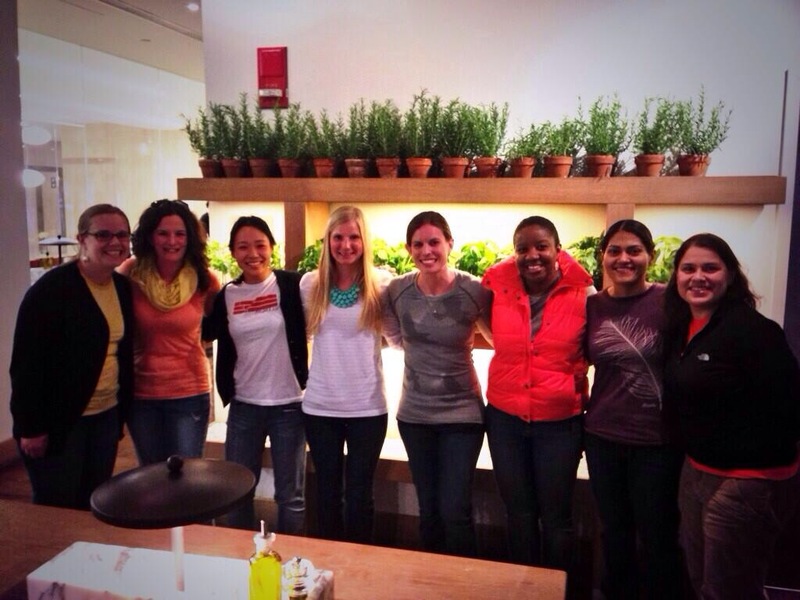 Things kicked off on Saturday with a Oiselle meet up at Vapiano in D.C. It’s always so fun to get together with these girls! On Sunday morning, Ian and I were up early and off to the metro. 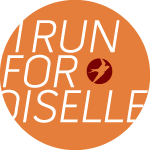 We ended up running into my Oiselle teammate Prianka at the Smithsonian stop, which was pretty amusing since I also ran into her randomly on the metro before the Marine Corps Marathon last fall. Almost as if we planned it, we walked by the start/finish area for the 10 Miler just as the lead women ran by. Boy can they fly, and yet make it look so easy. We made our way to the 5k start area. I headed off for a quick warm-up and Prianka went to meet a friend she was going to pace for the race. 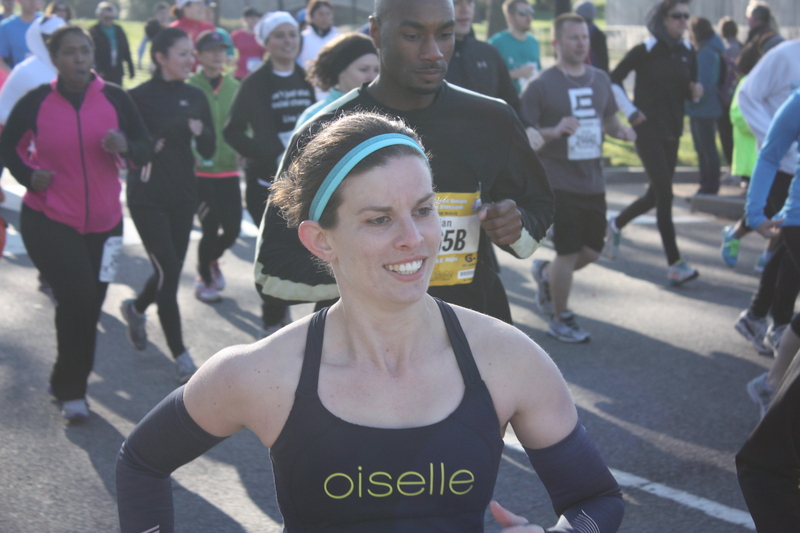 I again sported my Oiselle shimmel tank and fresh green shorts for the race. Somehow I greatly underestimated how chilly it was going to be out. Luckily I had arm warmers and calf sleeves on as well to give me a little extra warmth. Waiting at the start line was brutal. I was absolutely freezing. As you can tell by the picture below I appear to be the only one who didn’t get the memo about the temperature. Fortunately I warmed up really quickly and felt fine by about half mile in. Missed the memo on how chilly it would be! I loved this 5k course. I busted out my Newton flats for the first time in a longtime and they felt so light on my feet. Love that feeling! We started off heading down Independence Ave. on a slight decline before a quick right and left turn taking us over Memorial Bridge. I really felt good and started to get into a groove. After crossing over the bridge, through the traffic circle and a bit closer to the entrance to Arlington Cemetery we made the turnaround to retrace our steps back to the finish. Even with the slight incline back to the finish line where we started I still ran each mile increasingly faster. My 25:20 finish time was no where near my PR, but I was really happy with it and am excited to start getting my speed back over the next few months here as I get running more and start integrating speed workouts back into my training. It was also good enough to put me in 74th place overall out of 2,067, 25th out of 1,519 women and 6th out of 364 in my age group. 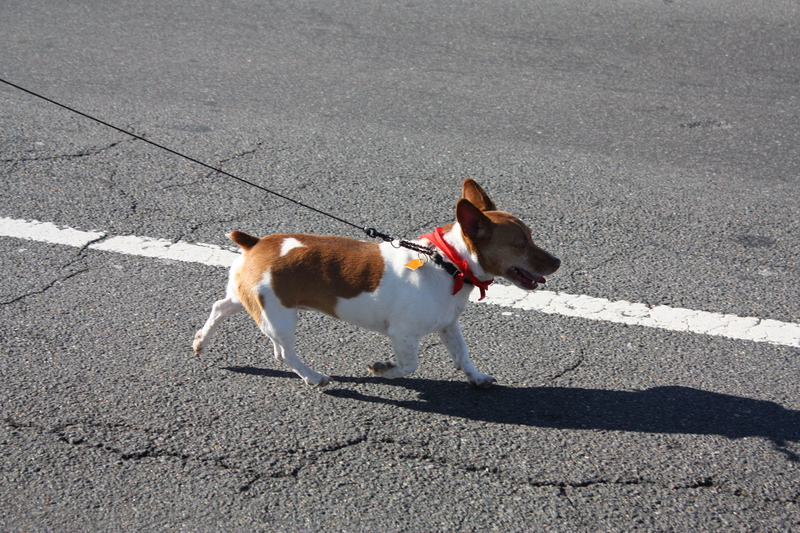 This little guy was cheering on runners from the sideline. I think Ian really needs to follow through on his idea of starting a Tumblr site featuring race dogs! 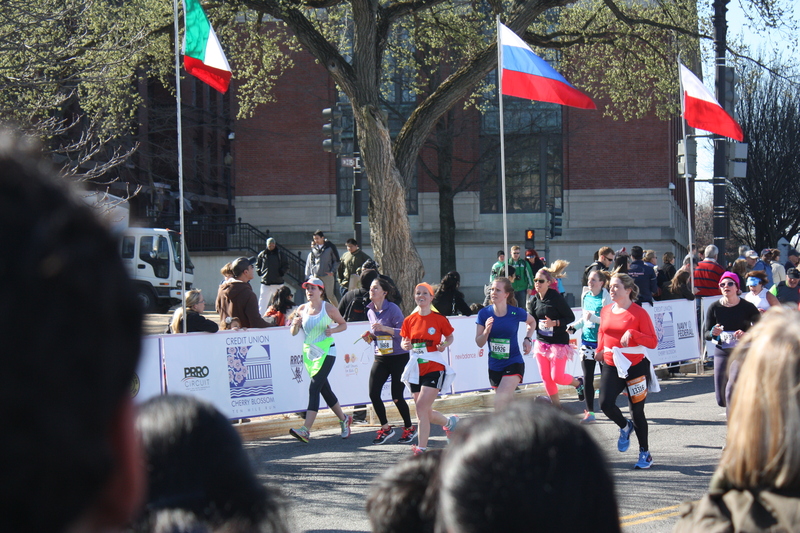 I was able to really quickly navigate through the finish area and make it back to where Ian was watching from in time to see Prianka run to the finish as well! Then we decided to take a shot at heading up to the 10 Miler finish to see if my brother’s fiancee and her sister had finished yet. With so many people in that race we didn’t think we’d have a great shot, especially since we didn’t even know what corral they had started in. As we walked near the finish line I somehow spotted my brother waiting on the sidelines, and we were able to grab a spot and catch Adrienne and Courtney on their way to the finish line! We wrapped up a great morning with breakfast at Bob & Edith’s Diner on Columbia Pike in Arlington. If you live around here and haven’t been there yet, you should go! Yet another successful Cherry Blossom in the books! I kicked things off Friday afternoon with a lunch at Rosa Mexicana and a trip to the expo with my friend Megan. Having shown up right at the opening of the expo last year and waiting in a line that ran through a hallway, down 2 cases of stairs and out the door, I was a bit nervous we’d face that again. Most people heeded the organizers warning though apparently, and we were able to breeze right in and pick up our bibs and tee shirts with no wait at all. We explored the expo for a little bit before getting reeled in by the RooSport booth. The ladies there were selling pouches created by their mother that could store anything from gels and keys to your phone or credit cards. 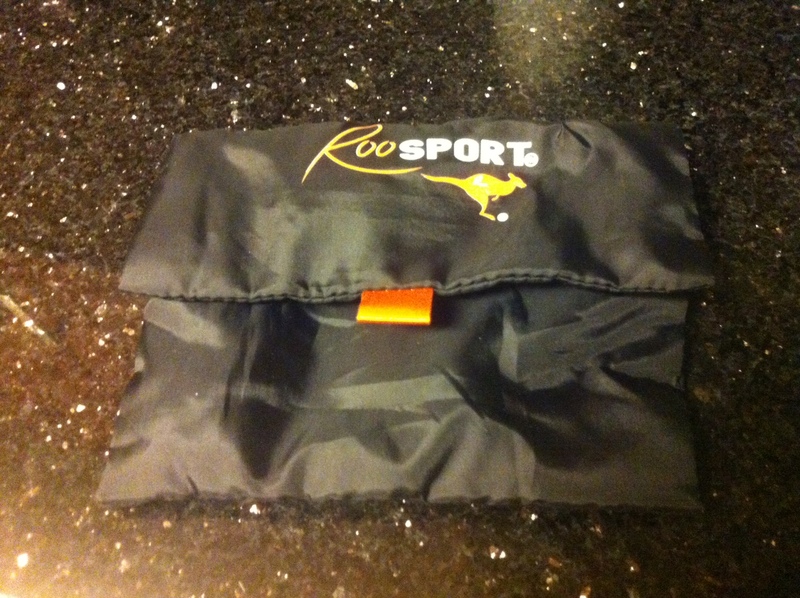 It had one larger pouch that closed with a small piece of velcro and one zipper pouch for valuables. The cool things about this pouch is how you keep it on you. You simply slide the pouch into your shorts (or shirt, sports bra, etc.) and let the flap fall down over the front – a very strong magnet does all the work of holding it in place. Megan was kind enough to pick up two so I could give one a try too. I broke the cardinal sin of never trying anything new on race day (I do this too much) and used it to hold my Gu. I’m an instant believer. This was awesome. I barely felt it there. It didn’t move or bounce. It was easy to get my Gu out of when I needed it. I love it! This will also come in especially handy on days I run home from work and have to carry all my credit cards and keys. 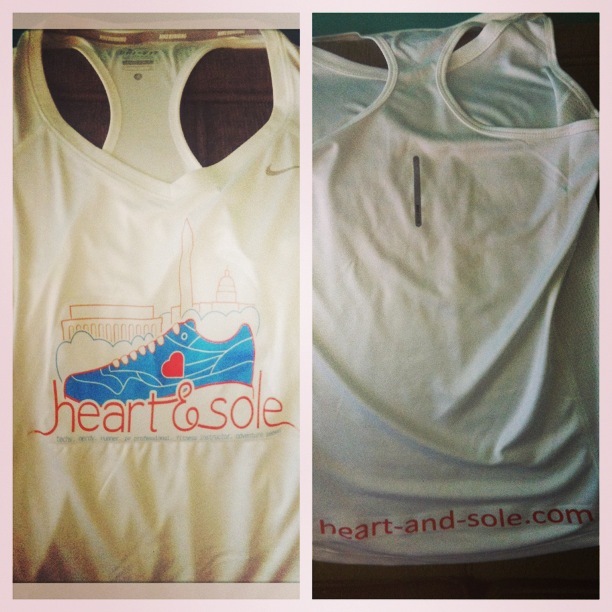 On Saturday I went through all my final pre-race prep, which included some screen printing to add my blog logo and website to one of my Nike tanks. 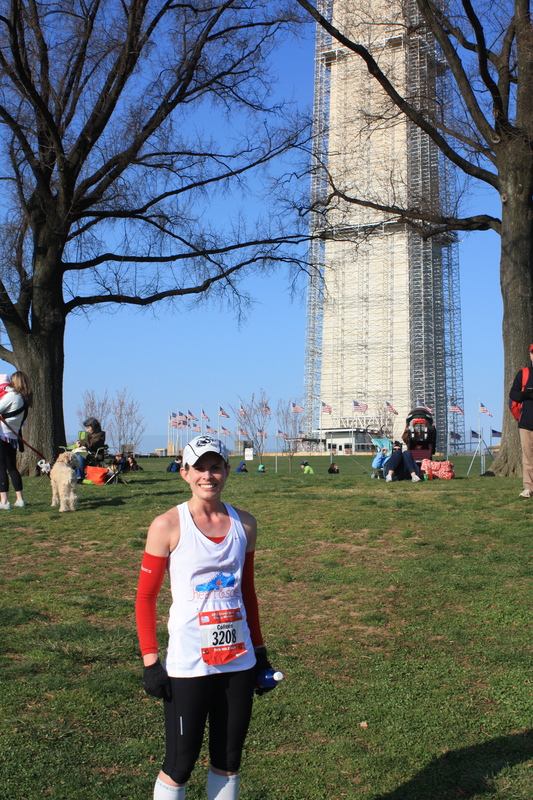 I used a different variation of the logo that includes a D.C. skyline background and not only did it look awesome printed on the shirt, but it was a very appropriate first race to wear it for seeing as we were running by so many D.C. monuments. My 5:44 a.m. alarm sounded and it felt like I’d barely been asleep. It’d been a late night cheering on my Syracuse Orange in their Final Four loss to Michigan and it would’ve been a lot easier to wake up had I been excited about them winning. Nevertheless, it was a season that exceeded all expectations and I had a race to run, so I hopped out of bed and got moving. I ate a piece of toast, a banana and a yogurt while downing a glass of water and getting ready. Ian and I left for the metro around 6:25. After getting off at the Smithsonian metro stop we headed away from the crowds so I could run to my office quickly and use the bathrooms there instead of waiting in line for the porta-potties. Soon after we made our way for the start. I felt a bit rushed so I was only able to get a few of my active warm-up stretches in before giving Ian my jacket and hopping into the corral to wait for the start. It was sunny, but chilly so I was almost glad I didn’t have a ton of time to stand around. 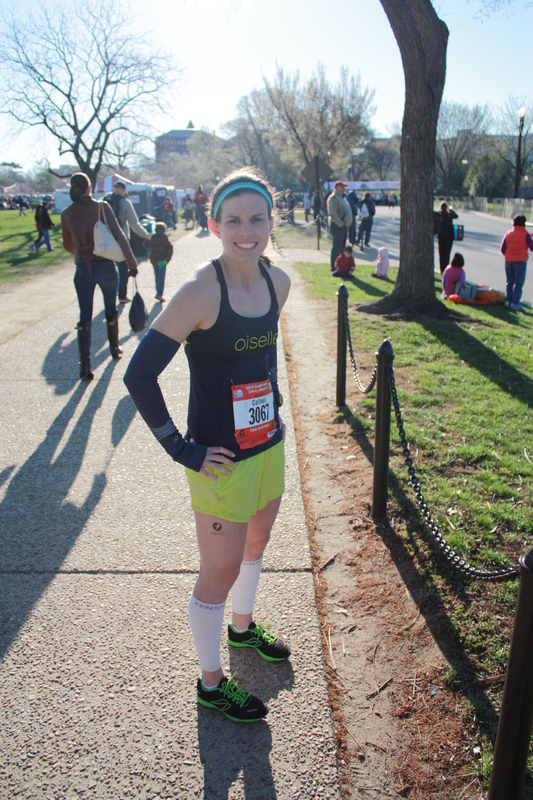 I wore a tank, arm warmers, gloves, capris and calf sleeves, which proved to be just perfect for the 40-degree temps. I started with the red wave a few minutes after the first wave took off. My mantra was start slow, finish fast so my original plan was to run the first couple miles 10-15 seconds behind my goal pace of 7:30. I got nervous about my ability to control my own pace though and hopped next to the 7:30 pacer at the last second. Naturally that meant I went out a bit faster than my plan, but it was still much better than I’ve done in the past (last year I ran mile 1 sub 7…oops), and for the first time it didn’t destroy my legs for the final stretch. 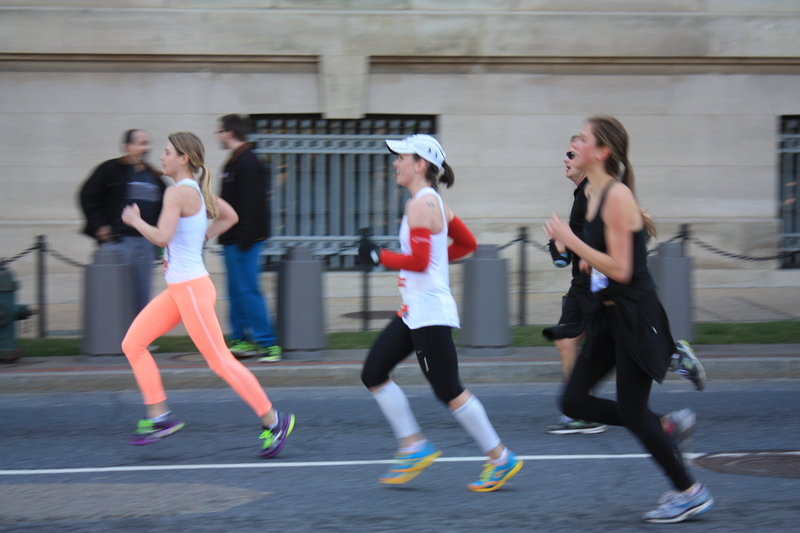 We headed past the Washington Monument down Independence Ave, past the Lincoln Memorial, out and back over the Memorial Bridge, and out and back past the Kennedy Center for the first three miles. We dodged toward Hains Point on Ohio Drive before coming back and looping past the Jefferson. I was feeling really strong, but started to tighten up a little for mile five. I passed the mile marker and was a bit down when I saw I slowed to a 7:35 pace, but instantly felt better when I heard Ian call out my name. My look of distress quickly turned into a smile and I powered up one of the few slight hills on the course. Now that’s a race face even Mark Remy would be proud of. Smiling after hearing Ian call my name! Mile six took me into Hains Point and a horrific headwind slowing me down even more through mile 7.5 when we finally hit the turn around and the wind died down. Somehow I found myself running with no one within 10 feet in front of me for a bit here, so I couldn’t tuck in behind anyone and had to battle the wind head on. How does that happen in a 17,000 person race?! I practiced this section so many times, but the wind here got the best of me yet again, slowing me down quite a bit. Not too much in the way of cherry blossoms, but my allergies are thankful for that. I was most proud of my last 2.5 miles of this race. I could’ve given up when I realized how much I’d slowed down battling the wind, but instead I picked it up and really pushed it to the finish line. I knew I’d be cutting it pretty close to 1:16 and really, really wanted to finish under that, so I powered my way through a little uphill before the final downhill to the finish. I was so incredibly pumped when I read 1:15:54 on my watch – a new PR!! Going hard to the finish line! My finish time was good enough to put me in 1,713 place overall, 401 among women and 127 in my age group. I actually finished ahead of 90 percent of the pack! That’s crazy to me and such an improvement over just a couple years ago. 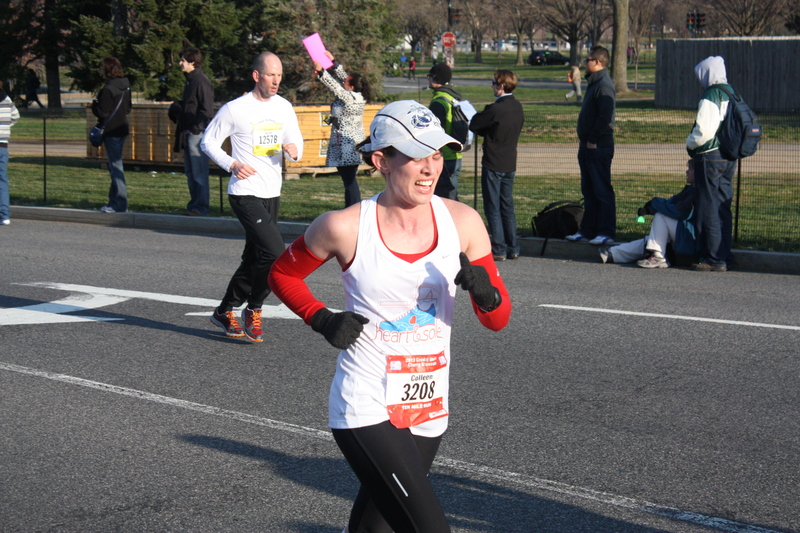 I also was a part of the DC RoadRunners team that finished second in the open women’s division! 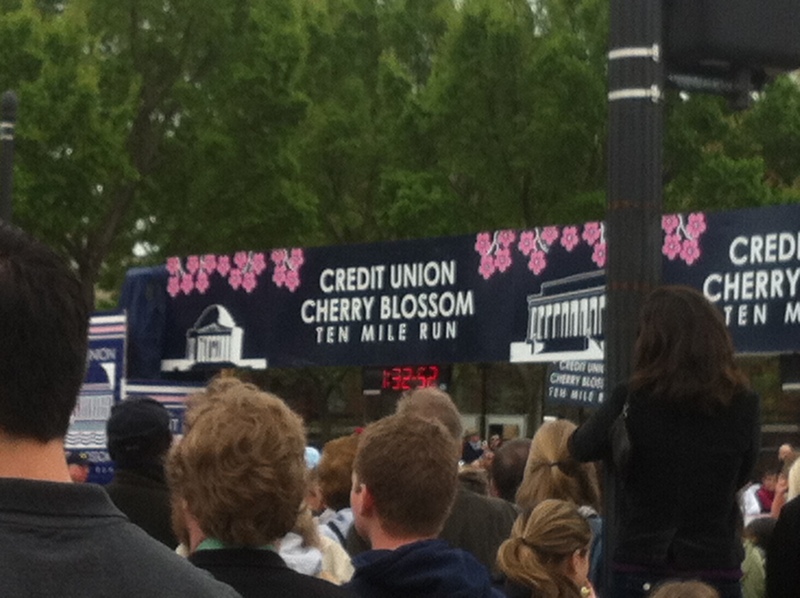 Thanks to the Cherry Blossom organizers for another great race – well organized and fun as always! Ian and I were able to find someone to take our picture at the finish. I so appreciate him getting up before dawn and trekking all over the place to take pictures and support me and my crazy running habit! From all the tweets and race recaps I’ve seen I know there were a whole bunch of you out running too. How’d it go? What was your favorite sign? 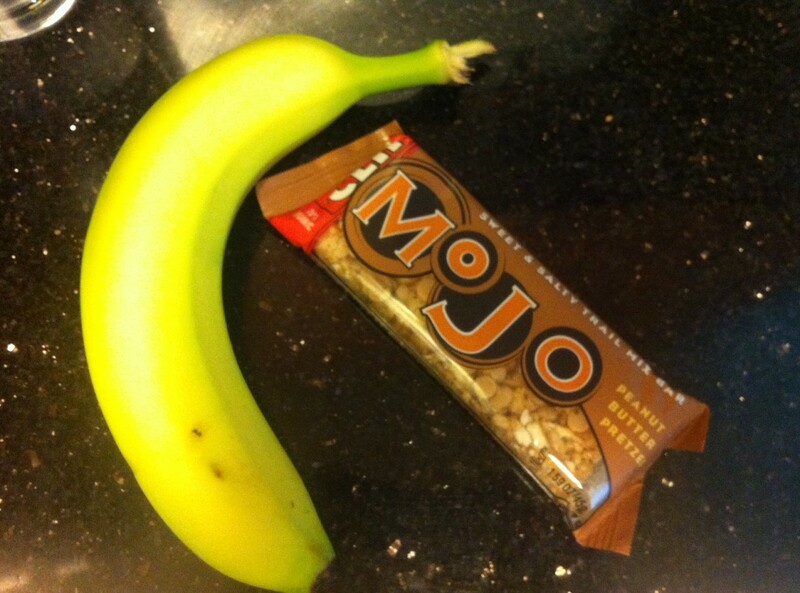 The day before a race I like to get everything ready, so I have nothing to stress me out or worry about on race day. It also keeps me from forgetting things. The Cherry Blossom 10 Miler expo opened on Friday so I was able to take care of that and pick up my race bib yesterday. I took it easy today and didn’t work out. I’m used to rest days, but it felt very strange on a Saturday. I checked out the course map one last time to remind myself where the water stops would be and plan out spots for Ian to see me along the course and meet up after. I pinned my number onto my race shirt. I always do this while I’m wearing the shirt becuase of an incident during a triathlon where I tried to slip into my shirt after the swim only to realize I’d put the saftey pins through both sides of the shirt! I check the weather forecast one last time and decide what to wear then lay out all my clothes from head to toe to make sure I’ve got everything I need. 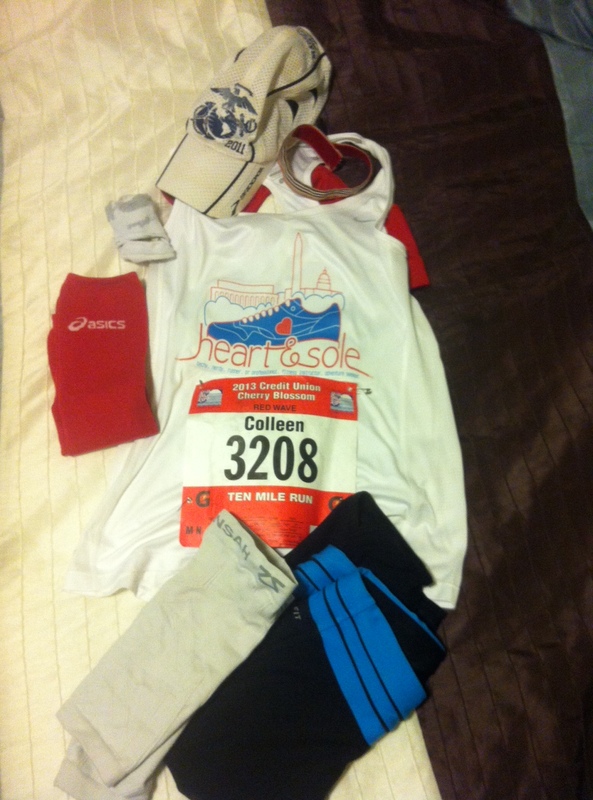 I also pack a post-race bag with a change of clothes and different sneaks to put on after the race. I also charge my Garmin even if I’ve recently charged it because I might actually panic if it died on me during a race. 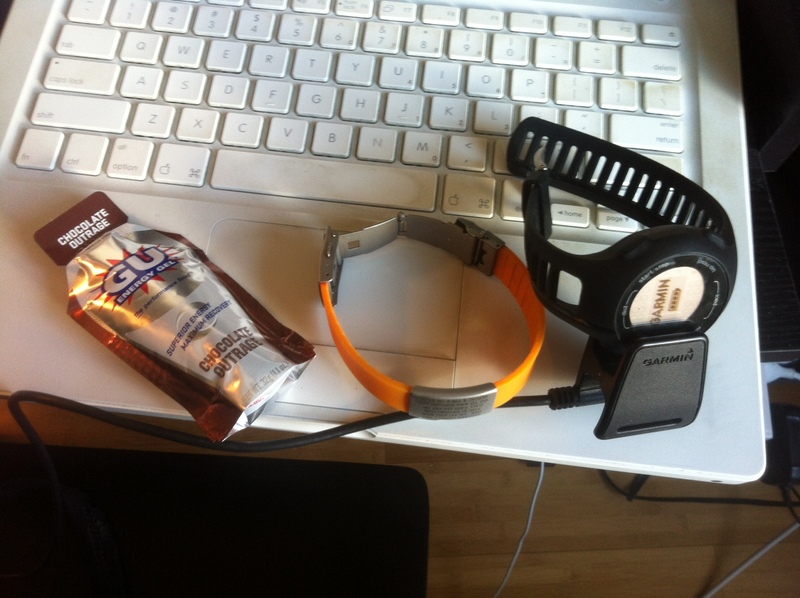 I make sure I have my Road ID ready and my Gu or other fuels I plan to take during the race too. I plan out my breakfast too. I’ve got the bread maker running so I can have a slice of toast to go with my banana and yogurt. I have a Clif Bar too that I’ll eat if I still feel hungry. Usually for races of this distance I won’t need it, but like to have it ready just in case. I’d like to say I’m planning on a lowkey early night, but my Syracuse Orange have made the Final Four, so I’ll be rooting them on with fellow Syracuse friends tonight! Go Orange! 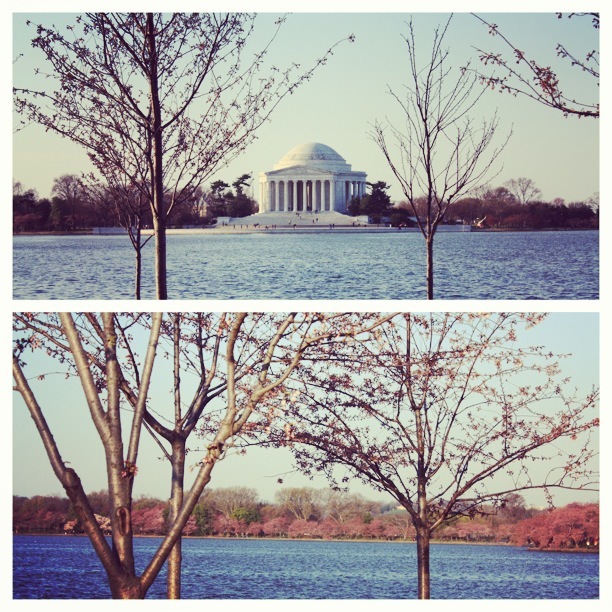 Good luck to everyone running Cherry Blossom tomorrow morning! Say hi if you see me out there! 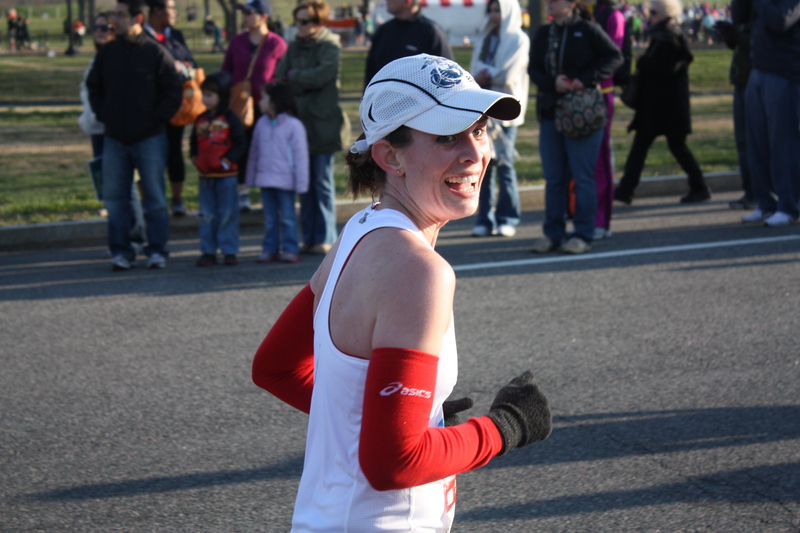 My first experience with trying to gain entry to a race via a lottery was several years ago with the Cherry Blossom 10 Miler. I did not get in. I tried again the next year, but had the same result. Thanks to their policy regarding two failed attempts, I received an automatic entry to last year’s race. The email with my link to register said something along the lines of: looks like your bad luck has turned into good luck. Well, my good luck didn’t stop there. I entered two lotteries for April races in 2013 recently. Based on my past experience I didn’t have high hopes of getting in. 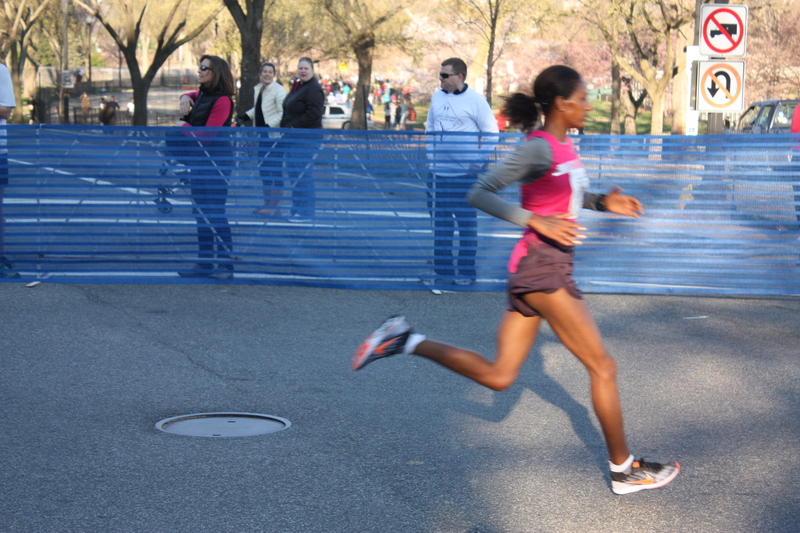 One was to again run the Cherry Blossom since I had so much fun in 2012, and the other was for the inaugural Nike Women’s D.C. Half Marathon. Good fortune shined and during the past week and a half I found out that I got accepted into both races! I know a lot of people running in both races, which will make them even more fun. 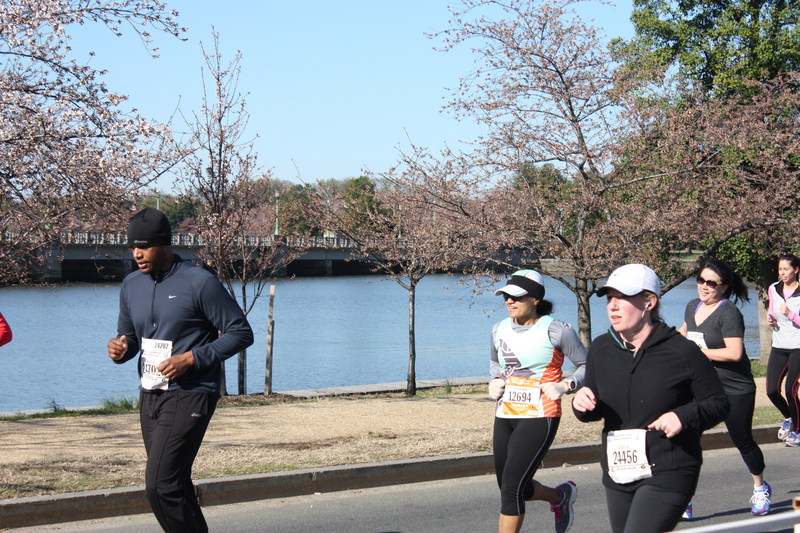 The Cherry Blossom on April 7 will make for a perfect training run for the Nike Half a few weeks later on April 28 as it appears the courses are almost identical with the exception of the beginning and end of the half to get the additional 3.1 miles. 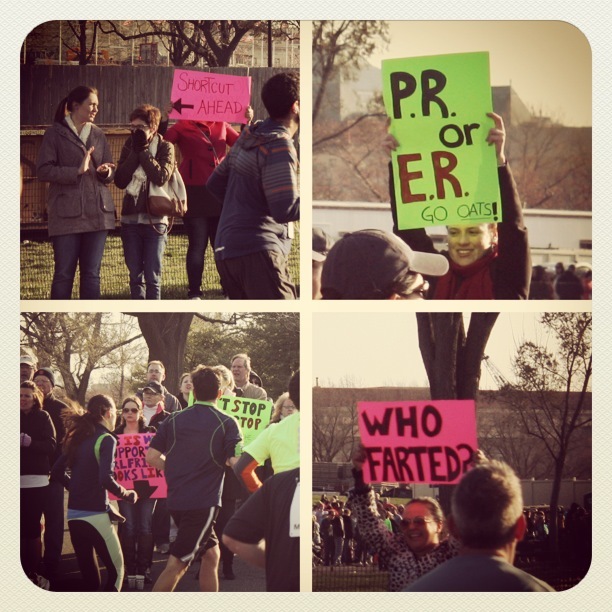 Let me know if you’re planning on running either of these April races in D.C. next year! On another note. I think I might buy a real lottery ticket tonight! For the third straight weekend I found myself lacing up my shoes for a race. 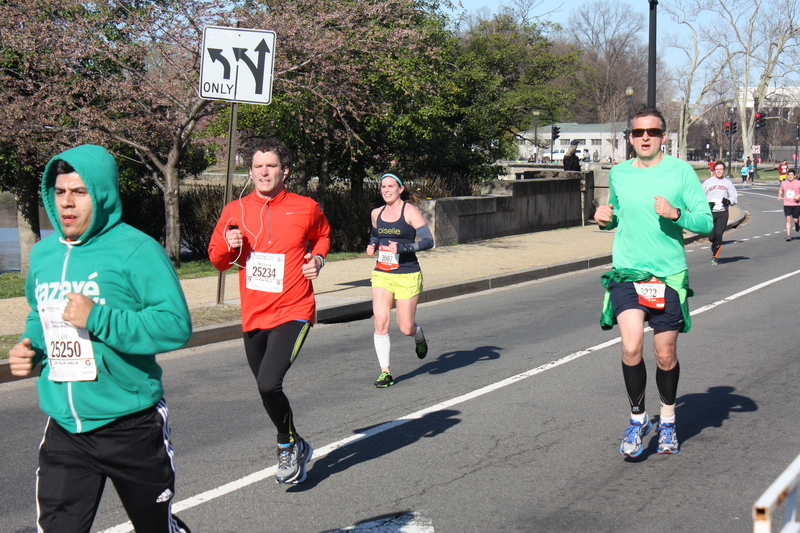 This past weekend was the Cherry Blossom 10 Miler, which I was particularly excited for since I’ve been denied entry through the lottery system into this one for the last few years. I love any race course that lets you take in the monuments of D.C. I’ve been running a lot recently, and I run most of the route for this course a lot, so I went in feeling pretty confident. The expo was crowded even at noon on Friday and it took a little time to get through the packet pick up and t-shirt lines, but it was well organized. Unfortunately since I’d already burned through most of my lunch break time walking to the National Building Museum and waiting in line, I didn’t get to peruse the expo booths as I normally love to do and instead had to hustle back to work. It was also one of the most crowded start lines I’ve been in, which isn’t surprising given more than 15,000 runners came out for the race and the narrow starting roads. I also might have contributed to the over-crowding by lining up in the wrong corral. I wanted to start near the 7:30 pacer and realized after a few minutes that everyone around me had gold bibs that did not match my red one. Sorry about that! I do wish they’d let you sign up for your corral based on an expected finish time rather than your previous best 10 miler though. While I understand this keeps people from putting a much better time than they could ever run, I’ve only run one other 10 miler – this one in fact – that I hadn’t trained for, so the time didn’t really reflect my training for this race. Regardless, the start went off without a hitch for me, and all the people squished in there helped keep me warm while waiting for the start. It was a little chilly at the start and a bit overcast, but overall, it was pretty perfect weather for racing. I headed out with the 7:30 pacer as the course started near the National Monument and headed down the Mall past the Lincoln Memorial and over the Memorial Bridge. We hit the 1-mile mark in about 7:20 so I’m not sure why, but our pacer either decided hey, maybe he could win this race, or that we were just much too slow for him to pace and took off. I kept him in my sight for a little bit, but as we came back over the bridge and into the out and back on Rock Creek Parkway I lost him for good. I felt great as the race continued and hit the 5 mile mark in 37:15. 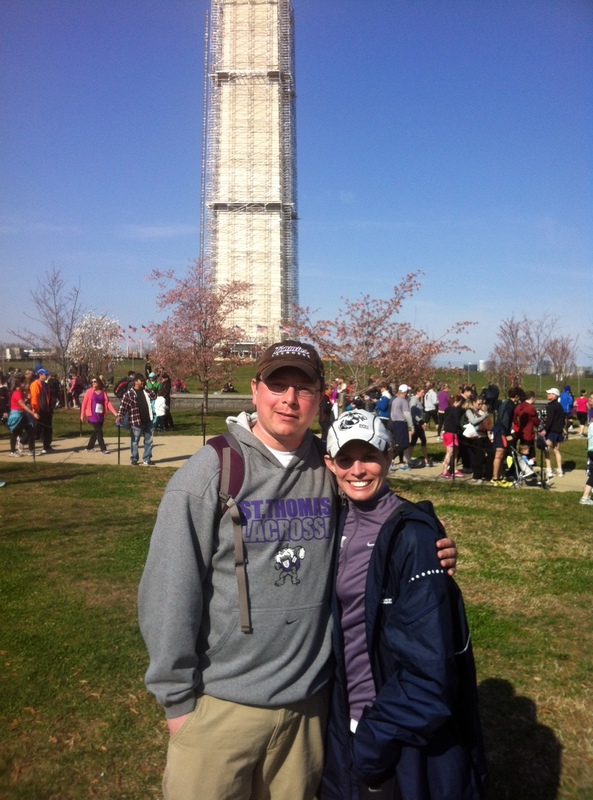 Hains Point got the best of me though and slowed me down a little. 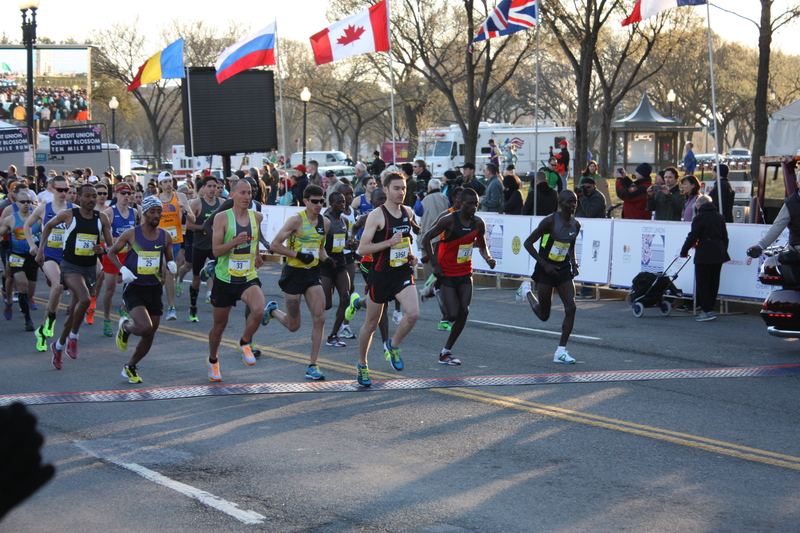 I struggled during the Hains Point stretch at last year’s Marine Corps Marathon too, so clearly I need to get out and practice on it some more before this year’s MCM. It’s a tough stretch, usually pretty windy as it’s a wide open space along the water. There is very little crowd support here too, although I did appreciate the guy who set up the free beer and oreos table – it gave me a good, much-needed laugh. I was a little disappointed in the crowd support (other than the volunteers who were stationed at certain points to cheer on runners) throughout the race as well. There was one stretch I think around mile 6 that had a ton of people, but they were dead silent. Runners were actually yelling things trying to get the crowd excited. I didn’t grab water at the last two water stops thinking it was a short enough race that I didn’t need anymore. This might have been a mistake as I got an awful side-stitch cramp just after mile 8. I was able to fight through it slowing down a tad, but was thankful this wasn’t a longer race or it could have really hurt my chances. The finish line crowd was much more energetic and the slight downhill at the end made for a good final kick into the finish line. I crossed the line at 1:16:41 – obviously a PR for this distance since I’d only run it once before. The 7:40 pace was by far the best pace I’ve kept up for any longer-distance before too, so I felt great about it. All of my races and training this year are geared around improving my time at the Marine Corps Marathon this October. I can feel that my fitness level keeps getting better and seeing this kind of progress gives me a great confidence boost. Next up is the Pacers Crystal City 5k Friday series so I can work on my speed (and have some fun too since I love these races)!